You work most of your life paying into the federal social security program or towards a long-term benefits policy through your employer and those benefits should be readily available to you if you are unable to work due to an injury or illness. But, all too often, people are denied the benefits they deserve causing them even more undue stress and hardship than necessary during their time of need. How will they keep their homes? How will they provide for their loved ones? There can be so many questions when you’re faced with a Tennessee Disability Claim and so few answers. The Lebanon and Nashville Tennessee Disability Lawyers at Lannom & Williams can help you. Let’s look at the two main types of benefits available to people who are unable to work for an extended period of time. The first is Social Security Disability, which is available through the Federal Government to any worker who has worked the required amount of time and who meets the medical requirements. You must be disabled, or expected to be disabled, for at least a year. After you apply for Disability, you will be notified that you have been Approved or Denied. If you are denied, you enter what is called the Reconsideration Phase of the process. You will have sixty (60) days from your notification to file an appeal. 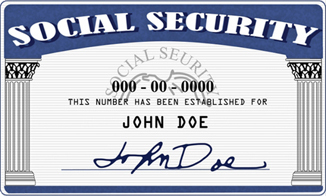 Your appeal will be reviewed by another employee of the Social Security Administration. If you are denied upon appeal, you will have sixty (60) days to appeal for a hearing in front of an Administrative Law Judge (ALJ). During that appeal, you will be able to make your case for benefits directly to the Judge. Three out of four people who apply for their Social Security Benefits are initially denied, but about 70% of those who appeal are approved! That is why is it so important you have a knowledgeable and experienced Nashville and Lebanon Tennessee Disability Lawyer on your side to help you prepare your care, present your evidence, and effectively plead you case. The second type of Disability Benefit is a long-term disability plan usually provided by an employer and known as an ERISA Plan. ERISA and its related programs are extremely complex and the guidelines and laws governing ERISA and long –term disability plans are vast and not easy to navigate. If denied, the claimant doesn’t just have to prove they are disabled, they have to prove the insurance company “abused its discretion” when denying their claim. You must present a complete and comprehensive argument to win your benefits and we can help you do that. Whether you’re applying for your Social Security Disability or an ERISA Long-Term Benefits, we have the experience, care and knowledge that you need. Give us a call for a free consultation. If you live in Mt. Juliet, Lebanon, Nashville, Gallatin or any area in Middle Tennessee, we can help you get the benefits you need and that you deserve.